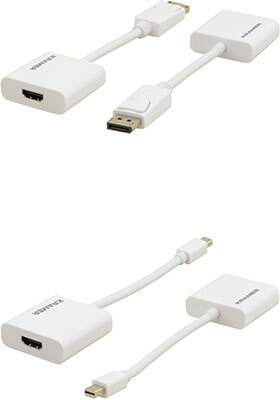 Kramer's DisplayPort to HDMI active adapters enable you to connect your DisplayPort™ equipped PC or laptop to an HDMI™ display. These active DisplayPort to HDMI adapters are used for true conversion when the source does not support DP++ and can be used in either DisplayPort single-mode or dual-mode outputs. Kramer's DisplayPort to HDMI active adapters support up to 4K @ 60Hz (4:4:4) video resolution and HDCP 2.2.